Posted at: 7/14/2011 11:59:00 PM . 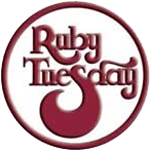 Ruby Tuesday is giving away 100,000 free burgers. Just like them on Facebook and they will send you a coupon for a free burger. I haven't gotten the coupon yet so I'm not sure if there is any annoying fine print.